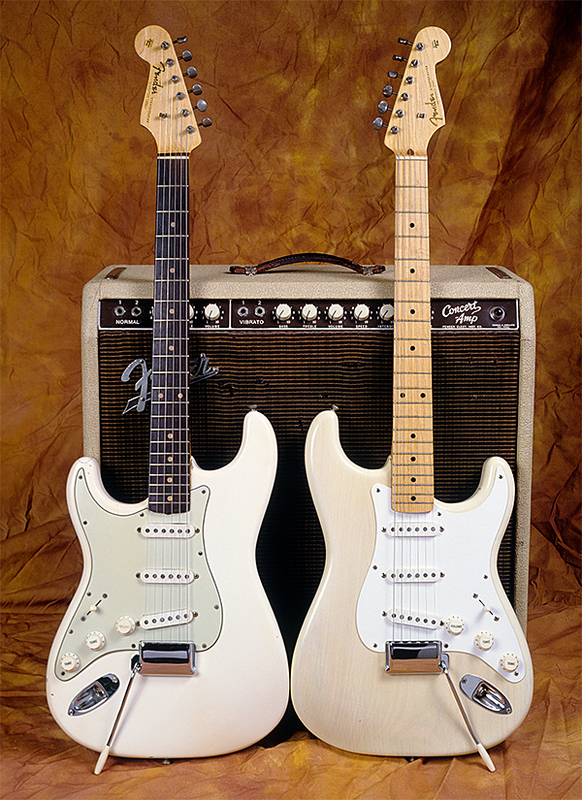 A lefty 1962 Fender Stratocaster in Olympic White and a ’58 Strat with blond finish. Sixty years down the road since its creation, the Fender Stratocaster is the default image of the electric guitar for nearly all the human race. 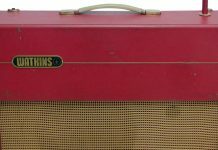 From early adopters like Buddy Holly to pioneering masterminds like Jim Hendrix and living legends like Eric Clapton, it has been a stalwart, always at hand for superstars, bedroom pickers, garage-band grinders, players of all ages, skill levels, and stylistic inclinations. 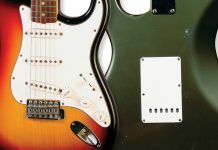 “It’s sometimes easy to conclude that the Stratocaster has been so influential largely because it was one of the earliest significant solidbody electric guitar designs,” said VG contributor Dave Hunter, author of The Fender Stratocaster: The Life and Times of The World’s Greatest Guitar and its Players. “The truth, however, is more likely that Leo and crew simply got so many things so right, right from the start. The aesthetics and the body lines were more stylish and forward-looking than anything that had gone before, without being excessive or cluttered, and the features – as the Strat has proved over and over again – gave it more overall versatility than any other electric on the market. 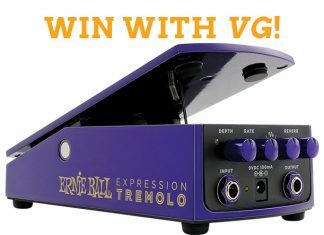 Its vibrato was the most sensitive and usable on an electric guitar, with a far more extreme action when you wanted it, and the three pickups were capable of applying themselves to any breed of music, whether you needed warm and throaty or biting and twangy, or something round and funky in between. To denote the anniversary, we offer an exclusive look at two historically significant examples. Howard Reed, Jr. onstage with Gene Vincent and His Blue Caps in 1958. The First Custom-Color Black Fender Stratocaster – Serial number 10041In 1955, working musician Howard Reed, Jr. (1937–1981) ordered the earliest known custom-color/black Stratocaster through his music teacher, J. Fred McCord, of McCord Music Company, in Dallas. The Strat, bearing serial number 10041, has a neck date of 11-55 and the control cavity tape was signed and dated by Fender employee Gloria on December 2, 1955. 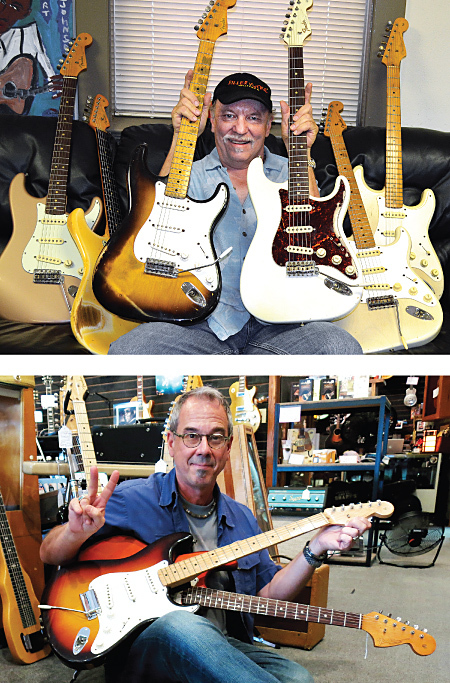 McCord Music was one of the earliest Fender dealers and one of the largest at the time. That relationship likely facilitated McCord’s ability to order such an instrument for Reed, who after a $140 trade in, made payments of $15.64 per month through 1956 for a total of $334.95 (including hardshell case). Unlike well-known early custom-color examples, this Strat is one of the very earliest ordered by a working musician from outside the factory, and certainly one of the few in existence with clear documentation of authenticity. 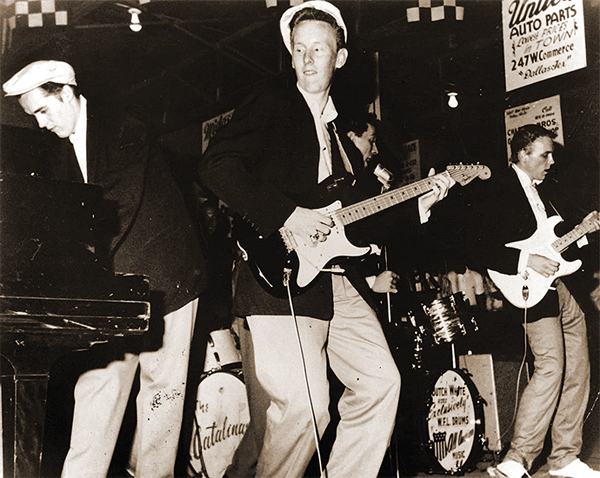 In 1958, Reed joined Gene Vincent and His Blue Caps (“Be-Bop-A-Lula,” “Bluejean Bop,” “Lotta Lovin’”) as lead guitarist and used this Strat as his primary guitar onstage. 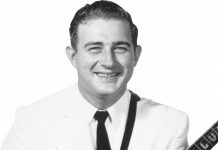 He also performed with it on “The Big D Jamboree,” a Dallas-based program on CBS Radio similar to Nashville’s “Grand Ole Opry.” Reed personalized the guitar by applying three stickers with his initials “H A R” to the bass-side horn. In late 1979, he obtained written documentation on his guitar from McCord, including a copy of the original ledger sheet from the store’s records. Tragically, Reed died of a stroke in 1981, at just 43 years old. The ’55 Strat that once belonged to Howard Reed, Jr. Note the “H A R” stickers applied to the upper bass bout. 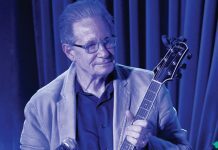 Experts Offer Pointers for The Newbie CollectorFrom its introduction in 1954, the Stratocaster has been exactly what Leo Fender envisioned – the supreme example of form meeting function in a solidbody electric guitar. But that’s only part of the reason the Strat is one of the “big three” collectible solidbodies. If you’re interested in collecting, there are some things you should know about the lauded offset-double-cut gem. In the years immediately following its introduction, Fender tweaked a few elements of the model, the most notable being more-durable white plastic parts in 1956. Essentially, however, the guitar was near-perfect from the get-go, and as a result moved to the head of the class. Its future looked bright. However, guitar collectors are quite aware of the demarcation between early Fenders – those made in the ’50s through early 1965, when Leo Fender sold his company to broadcast/record-industry giant CBS – and those “produced” afterward. From ’65 from ’68, Fender entered what collectors call the “transition era,” during which the company shifted focus away from the inherent quality and attention to detail of hand-building to an assembly-line approach. The move affected the Strat moreso than other Fender models in part, because at the time, the guitar was waning in popularity. If there’s debate over the quality of transition-era Fenders, by the early ’70s, accountants – more concerned with profit margin than quality control – made changes in materials that erased all doubt. “From the early ’70s on, the buzz was quiet but steady – ‘pre-CBS good, all else bad,’ said Westgor. 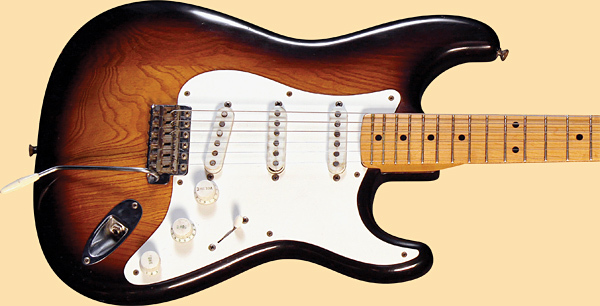 In ’76, Fender made a change that most see as an improvement when it gave the Strat a five-position pickup selector, which expanded the guitar’s tonal spectrum by engaging pickups simultaneously. 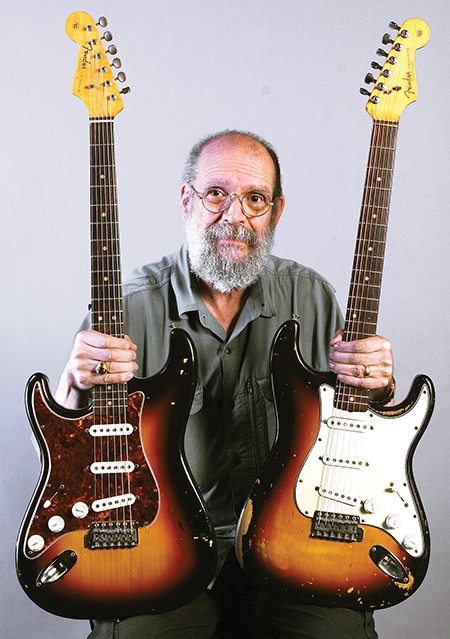 Though collectors have relegated CBS-era Fenders to second (or third)-tier status, the Strat sallied forth thanks mostly to one man. (TOP) Dave Hinson. (BOTTOM) Nate Westgor. Collectors entering the Strat market today should plan to spend at least $2,500 to get a quality example – and keep their minds open to something that may not yet have acquired “vintage” status. 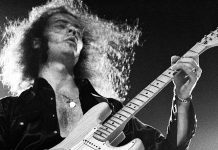 “’70s Strat are interesting to a certain segment – maybe someone looking for a guitar from their birth year,” said Hinson. And, no matter which version or variation one ultimately finds, Westgor points out there’s something utterly satisfying about owning a Strat. The significance of this particular guitar – the earliest known Stratocaster to be given a serial number – goes far beyond its place in the history of musical instruments. When it left the Fender factory and landed in its owner’s hands at a music shop in El Monte, California, during the summer of ’54, it was the first sold-at-retail example of what would become the most successful electric guitar in the history of the instrument. 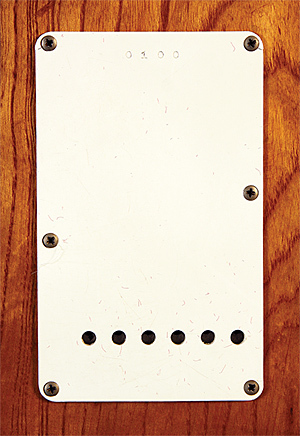 As many as 113 of the earliest Stratocasters have the serial number stamped on the vibrato cavity plate rather than the neck plate, as seen on later Fender instruments. This guitar has the earliest serial number – 0100 – on the early-style/round-hole plate. By late May of ’54, Fender was stamping the serial number on the neck-fastening plate using four-digit numbers starting with 0001. Fender employees installed these in a grab-bag manner such that the instruments were not sequentially numbered upon completion. The neck of this guitar is dated 1/54 (January) and the body date is 4/54 (April). It has a deeply contoured ash body with two-tone sunburst finish, one-piece maple neck with black dot inlays and walnut backstripe (which was the only style available until late ’59), Kluson Deluxe tuners stamped “Pat Appl’d” and without the Kluson brand on them (these are referred to as “no line”), three single-coil pickups with a three-way pickup selector switch, white polystyrene thermoplastic (commonly referred to as but not actually “Bakelite”) small skirt-style Tone and Volume knobs, pickup covers and football-shaped switch tip, short front bridge saddles, “spaghetti logo” peghead decal, round string tree, and original “poodle style” hard case. 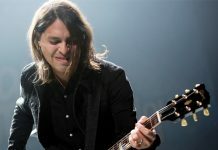 Though several of the white polystyrene thermoplastic components such as the pickup covers and knobs have deteriorated due to age and use, the guitar is in fine condition for an instrument of its age.